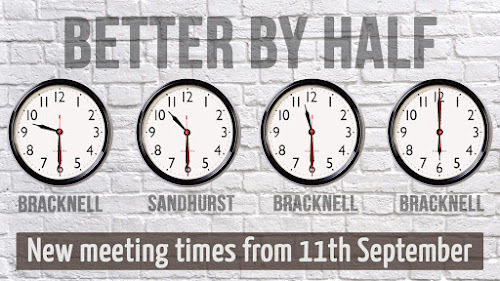 In order to create space for growth in Bracknell, from the 11th September 2016 we are changing the Bracknell morning meeting times to be 9.30m and 11.30am, and Sandhurst to be 10.30am. The evening meeting in Bracknell will stay at 6pm. I'm going to talk about this in more detail next Sunday (4th September) but I wanted to put some of it in a blog before then. Every time we've created space God has filled it. We're now at a point that the 11am meeting in Bracknell is close to being full again, with every available room being used for adults, children or young people and several of those rooms at capacity. Longer term the plan is to redevelop K2 to both allow greater numbers of people to come, and to create dedicated spaces for children and adults with special needs (more on this at our vision night on Tuesday 20th September, 7.45pm in the Kerith Centre to which everyone is invited), but redeveloping K2 is going to take time, so we need to do something in the interim. The core of our vision is "helping people find their way back to God", and we can't effectively do that when there is no space for new people to come. If we're serious about our vision then we can't stay 'here', doing nothing is not an option, so we need to do something in order to allow more people to come. (For the mathematical amongst you don't be worried that the adult, youth and kids totals don't add up to the overall total for each meeting - some of the people serving in kids and elsewhere outside the adult meeting aren't included in the figures for adults, youth and kids, but are included in the total numbers). 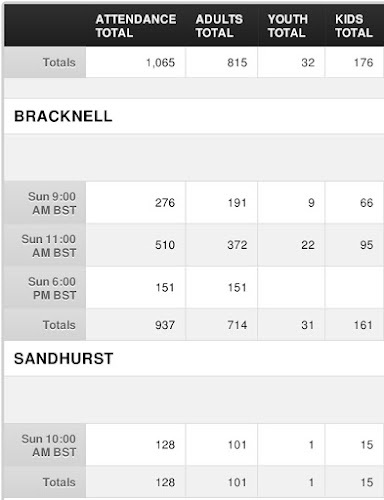 You can see that we had close to twice as many adults at the 11am in Bracknell as we had at the 9am, with around 50% more children. We have plenty of space to grow at the 9am, but at the moment it is clear that the majority of people prefer to come to the 11am. We're therefore going to move the meeting times back by 30 minutes in order to encourage people to come to the earlier meeting. Everyone gets to spend an extra half hour in bed! There is a possibility that in time all we'll achieve is making the earlier meeting the larger one. If we sense that happening we'll change the start times to be 9.15am and 11.15am. 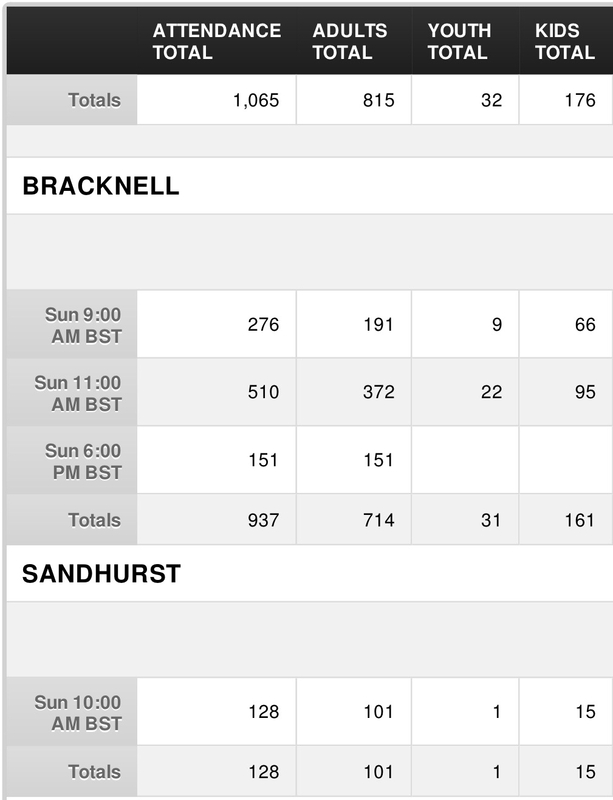 At the same time we will change the start time of Sandhurst to be 10.30am. This will make it more straightforward when we need to stream the preach or move people between the sites, and will allow the Sandhurst setup teams to start work at a more civilised time. I realise that lots of people don't like change, but in reality this is a small change compared to many of the changes we've made in the past. I want to encourage us to embrace these new times, and more importantly the vision behind them. We're not a club that exists for our own convenience, but the church of Jesus Christ which exists for the benefit of those who don't yet know Him. See you next Sunday (at 9, 10, 11 or 6!). 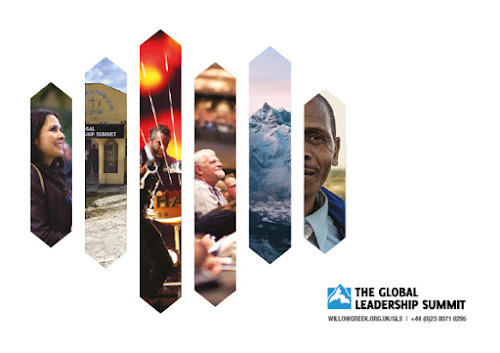 In October we've got the Willow Creek Global Leadership Summit coming up, and this year I want to encourage everyone who is part of Kerith to plan to come along as an investment in our personal growth. As every year there's an amazing line up of speakers with people from the church, business, charity and academic worlds - people we can all learn from if we are humble enough to hear God speaking through them. In past years we've always run the conference on a Friday and Saturday. I've long thought that this gives us the worst of both worlds, in that there are a bunch of people who can't make a Friday because they can't get the time off work, and a bunch of people who struggle with the Saturday because that's key family time. Also for church teams wanting to come a Friday often isn't great because you're getting ready for Sunday. We're therefore going to try something a little different this year! On Wednesday 12th and Thursday 13th October we'll host the full blown conference with the majority of the speakers from the live event which takes places in Chicago in August. You can book into that here. I'd encourage everyone who can get time off work, child care, college or whatever else you might do during the week to come to these two days. Also for church teams to book those two days as a key team time - staying in local hotels if you can in order to maximise the time you have together to discuss all that you're learning. Then on Saturday 15th October we'll do a one day version of the GLS, showing what we think are the best talks from the two day event. You can book that here. I want to encourage anyone who can't make it to the two day event to come to this. If you're not part of Kerith then until the 5th August you can use the discount code GLS16SO to get 25% off. If you do regularly attend one of our Kerith sites then we have a host church discount code which will get you 65% off. You can get that code by emailing our Kerith reception, but only if you really do come regularly! Either way the conference represents incredible value for money. I'm always amazed how we can think nothing of pay a load of money to go to a football match, the cinema or the theatre, but then question the cost of a conference like the GLS. Jesus told us that "where your treasure is, there your heart will be also" (Matthew 6:21). Be willing to invest in something which will do not only your heart but also your mind and soul incredible good.